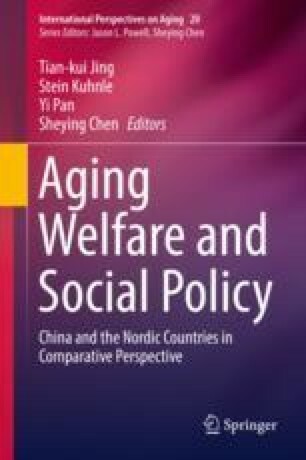 This chapter focuses on e-Welfare and e-Health by illuminating the general trends in e-Welfare and e-Health in Finland. The main aim is to describe the policy goals of e-Welfare and e-Health in Finland, to assess current experiences using e-Welfare and e-Health case studies, and to evaluate the possibilities and expectations placed on e-Welfare and e-Health services. Notably, the focus of the article is at a policy level, and on user-related approaches and experiences, rather than technical issues and solutions. European Commission (2018) The Digital Economy and Society Index (DESI) 2018. Fact sheet. Retrieved January 31, 2019, from https://ec.europa.eu/digital-single-market/en/desi. Health, Social Services and Regional Government Reform. (2017). An internet site where the Finnish public sector reform is explained. Retrieved June 13, 2017, from http://alueuudistus.fi/en/frontpage. Heinonen, H. (2017). Kelan toimihenkilöiden näkemyksiä toimeentulotukityöstä. A Youtube recording from a Kela seminar titled Uusi toimeentulotukijärjestelmä ei ole vielä valmis–tutkimus kehittämisen tukena, 26 April 2017. Helsinki: Kela. Retrieved June 19, 2017, from https://www.youtube.com/watch?v=08pYk7_Rk4E. Hyppönen, H., Koch, S., Faxvaag, A., Gilstad, H., Nohr, C., Audur Hardardottir, G., Andreassen, H., Bertelsen, P., Kangas, M., Reponen, J., Villumsen, S., & Vimarlund, V. (2017). Nordic eHealth benchmarking. From piloting towards established practice. TemaNord 2017:528. Nordic council of Ministers. Retrieved June 13, 2017, from http://norden.diva-portal.org/smash/get/diva2:1093162/FULLTEXT01.pdf. Kela. (2017). Kela internet pages on Social assistance. Retrieved June 15, 2017, from http://www.kela.fi/web/en/social-assistance. Kelan henkilöstö huolissaan perustoimeentulotuen toimeenpanosta. (2017). A statement given by the Kela professional branch of PARDIA, The federation of salaried employees 23.2.2017. Retrieved June 19, 2017, from https://www.pardia.fi/kelantoimihenkilot/?x1796127=11825262. Muhonen, T. (2017). Näin Kela-kriisi alkoi: Kunnat tarjosivat työntekijöitään – “Kela ei halunnut heitä”. Newspaper article in Talouselämä 17 March 2017. Retrieved June 19, 2017, from http://www.is.fi/taloussanomat/art-2000005132006.html. Sachdeva, N., Tuikka, A-M., & Suomi, R. (2013). Digital disability in information society: The case of impairments. In T. Ward Bynum, W. Fleishman, A. Gerdes, G. Møldrup Nielsen, & S. Rogerson (Eds. ), Proceedings of the Thirteenth International conference. The possibilities of ethical ICT. ETHICOMP 2013. University of Southern Denmark, Kolding Campus, Denmark, June 12–14, 2013. Retrieved June 24, 2017, from https://www.researchgate.net/profile/Simon_Rogerson/publication/260298598_ETHICOMP_2013_Conference_Proceedings_The_possibilities_of_ethical_ICT/links/56b71c3d08aebbde1a7b163b.pdf#page=414. Social Assistance. (2017). Ministry of Social Affairs and Health internet page explaining the Finnish social welfare. Retrieved June 19, 2017, from http://stm.fi/en/income-security/social-assistance. Sosiaaliturvan menot ja rahoitus 2015. (2017). Helsinki: THL. Retrieved June 15, 2017, from https://www.julkari.fi/bitstream/handle/10024/132142/Tr_07_17_kokonaisraportti.pdf?sequence=4. Tieto hyvinvoinnin ja uudistuvien palvelujen tukena - Sote-tieto hyötykäyttöön -strategia 2020. (2015). Helsinki: Ministry of Social Affairs and Health. Retrieved June 13, 2017, from http://julkaisut.valtioneuvosto.fi/handle/10024/70321. Viitala, S. (2017). Uutissuomalainen: Kela on saamassa toimeentulotuen jonot kuriin. Newspaper article in Turun Sanomat 18 April 2017. Retrieved June 19, 2017, from http://www.ts.fi/uutiset/kotimaa/3478453/Uutissuomalainen+Kela+on+saamassa+toimeentulotuen+jonot+kuriin. Wilska, T-A., & Kuoppamäki, S-A. (2017). Yhteenveto ja johtopäätökset. In T-A Wilska & S-A. Kuoppamäki (Eds. ), Varttuneet kuluttajat, digitalisoituva arki ja kulutusympäristöjen muutos. Digi 50+ -hankkeen loppuraportti. 209/2017. Jyväskylä: Jyväskylän yliopiston kauppakorkeakoulu. Retrieved June 24, 2017, from https://jyx.jyu.fi/dspace/bitstream/handle/123456789/54393/978-951-39-7101-4.pdf?sequence=1.